Boho or bohemian style is a style that is combination from ethnic, unique, hippies, and vintage style. More like vintage, but more unique and interesting. The identical thing from bohemian style is on the casual style but chic and the accessories. Boho style also usually would rather wear the dress with nature motif or with soft and pastel color. 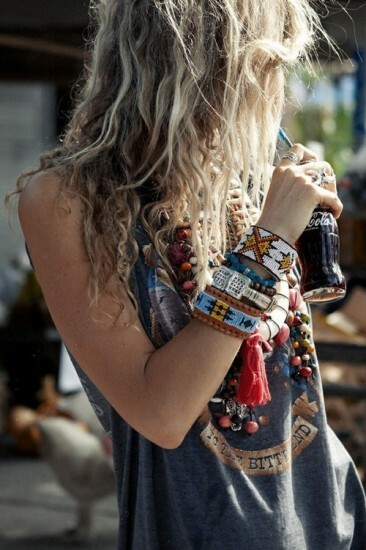 Boho style is also identical with some unique accessories like ring, bracelet, earrings, and necklace. Some of them even wear the weir design boho style jewelry. So, if you are kind of boho style lover, you should, pay attention for this topic. Bohemian women usually wear a lot of jewelry. 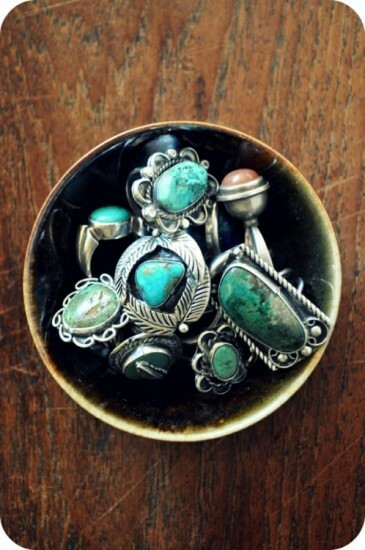 Jewelry is one kind of important thing for boho style, like accent. Boho style jewelry is identical with handmade jewelry that made from stone, rope, metal, beads, animal teeth, fur bird, etc. That all about back to nature, ethnic and unique styles. You could understand it if you meet the real boho women. 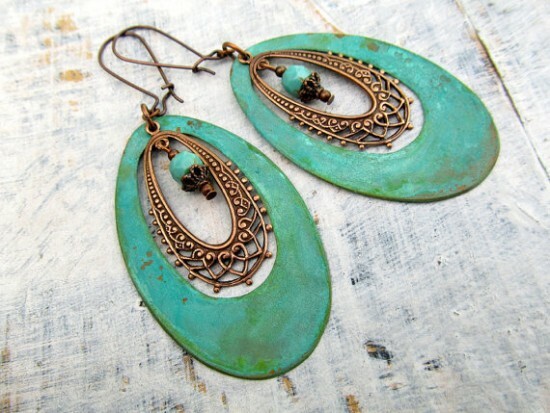 Compare with hippies women, boho are more trendy and more care about jewelry. Hippies are simpler than bohemian. Hippies are just like free spirit people with a nomadic lifestyle. Maybe now you know the exactly different between boho and hippies. And these are some examples of boho style jewelry that might be interesting for you: Boho Style Bead Feather Drop Earrings, Boho Chic Wrap Bracelet, hammered metal pieces, Rae’s Boho Style Multicolor Beaded Gold Chain Fringe, Boho Chic Beaded Jewelry in colorful festive designs, Millefiori Earrings, etc. If you are interesting with some of them, you could found it is some traditional souvenir market, especially is some traditional souvenir Asian market. There are a lot of boho style jewelry in there. I sure that you would confuse to choose the most beautiful and unique boho style jewelry in there.